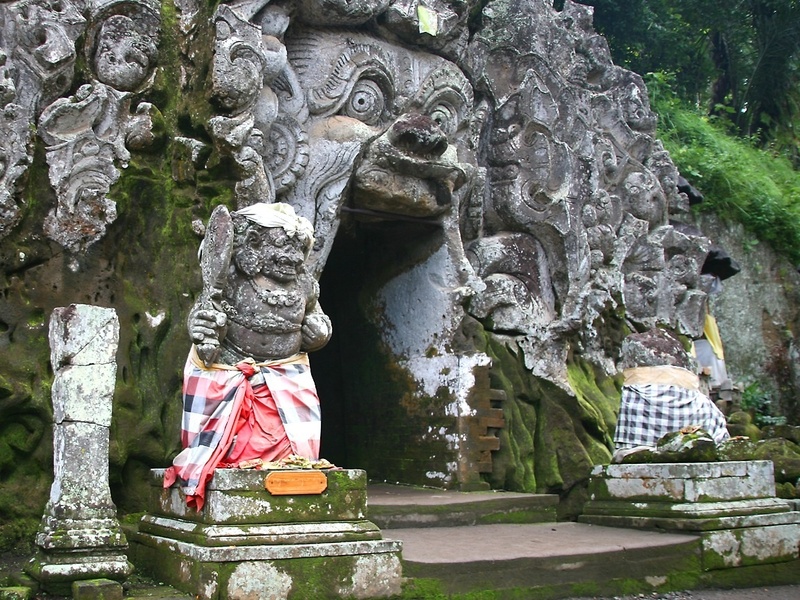 I pick you up from your residence at the time you want.We first go to the Elephant Cave (Goa Gajah), this cave built in 11 century by the king of Udayana. The name is came from the name of the small river nearby, it's name Lua Gajah (Female Elephant). In front of the cave built place for bathing with six figures (Sapta Gangga). Inside of temple there is places for meditation, west side is the statue of Sri Ganesh (the god of protector), east side is three Lingam, belived one with black cloth is for Wisnu Gods symbol of water, white cloth is for Siwa Gods symbol of the air and red cloth is Brahma Gods symbol of fire. You can see and walk around. Then we drive further. 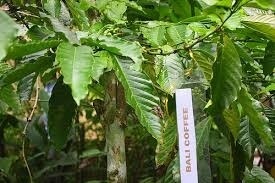 On the way we can stop at Bali Coffee Agrotourism, Bali Coffee Processing and farming, Bali Coffee Luwak (Chivet Cat Coffee), the place to see various of plantation such as coffee arabica, coffee robusta, pineapple, Balinese snake fruite (salak), plain Balinese potatoes, star fruit, cacao, jack fruit, durian tree and etc, experience to see how to make Balinese coffee, try the best of Balinese coffee or ginger tea with green view river valley. 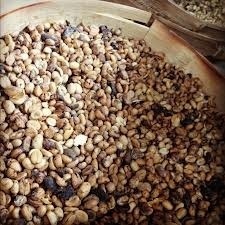 They sell variety of theirs original Balinese coffee products, herb oil and etc. 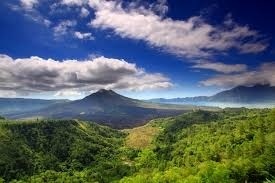 After that we drive to The Besakih Mother Temple, located in slope of Mount Agung about 1000 meters above sea level. 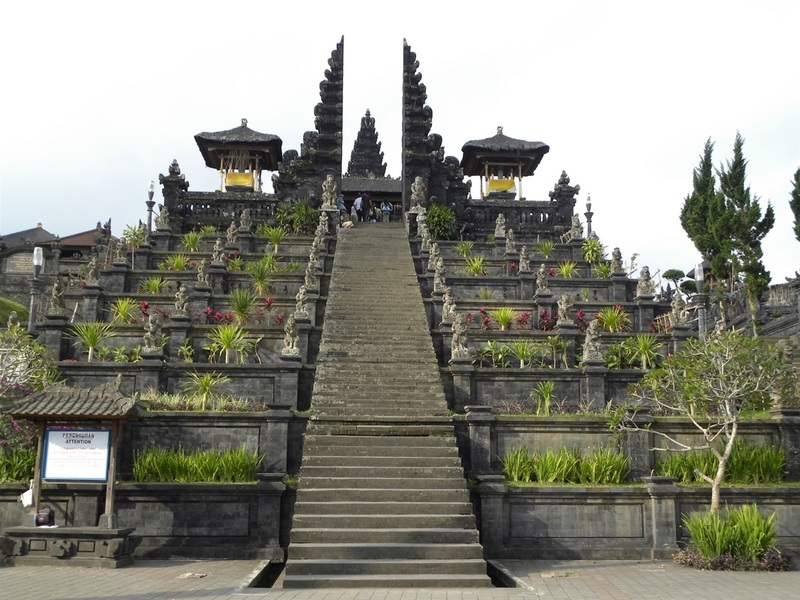 This is the first temple built in Bali or well known with Mother Temple built by the javanese priest Sri Danghyang Dwijendra who traveled to Bali in 8th century. Besakih Temple has big complex of temple included the family temple who add by another Javanese priest Danghyang Nirartha in 16th century. 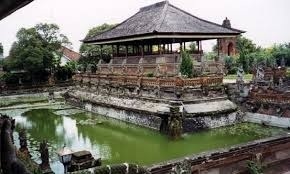 The main temple courtyard is Penataran Agung has a triple throne called Padmasana Tiga with separate seats of the trinity gods Brahma, Wisnu and Siwa. On the way back you have to see The Hall of Justice (Kerta Gosa), located in the center of Klungkung town in front of Klungkung Puputan Memorial. 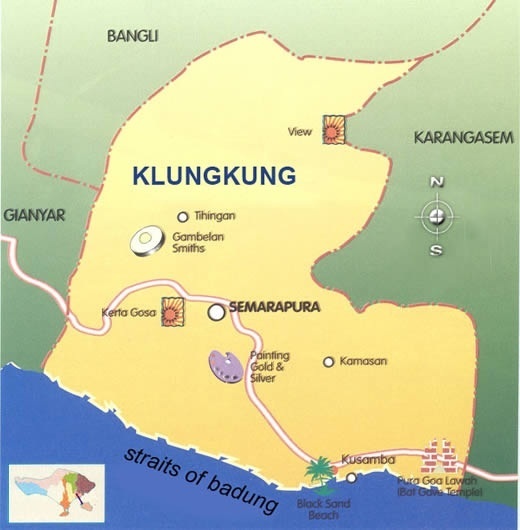 Built in 1710 by Dewa Agung the King of Klungkung. The ceiling of the hall completely covered inside with fine painting Kamasan Style. The story of painting is The Epic of life Balinese Journey of the soul. 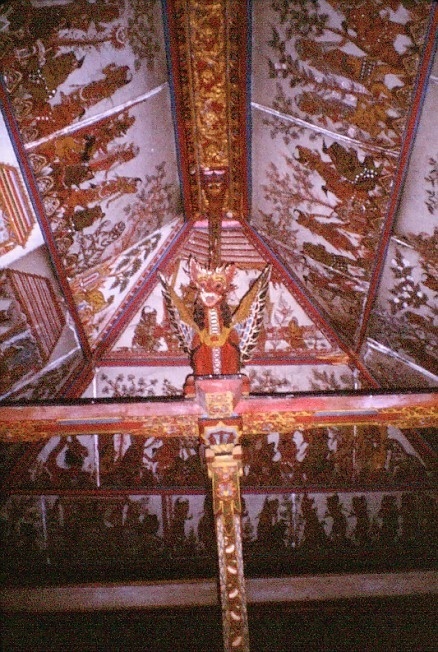 In the midle built Bale Kambang (Floating Hall), the ceiling full with Kamasan Painting. 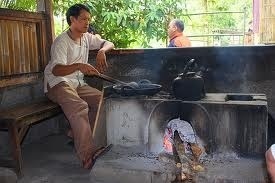 In the west of the hall there is Museum Semarajaya collected of the photos of the King and family in Balinese dress. At the end of the day i bring you back to your residence.During the hole daytrip As always there is time to stop to look and take pictures if you want!